The high air volume tires on the XDURO FatSix models allow you to comfortably ride a wide variety of terrain. With a tire width of 4 inches and a broad contact patch, the fat tires are also ideal for finding traction on rough or extremely loose surfaces like gravel, snow or sand. The FatSix model is the monster truck of the e-bike world, just point and go. Exploring new horizons was never this fun! 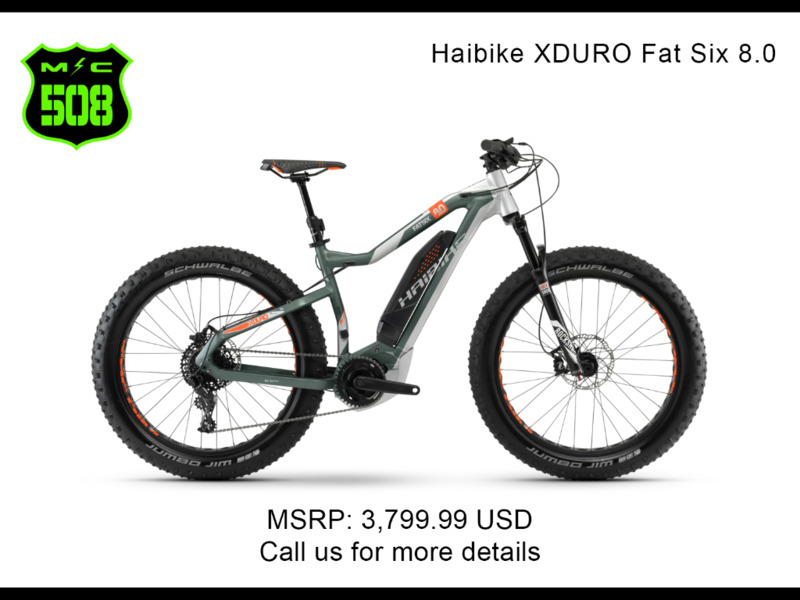 Schwalbe Jumbo Jim Evo, 26" x 4.00"
Message: Thought you might be interested in this 2018 Haibike Xduro.